The groundbreaking groovebox returns for round 3 -- now with a built-in audio interface, Smart Strip controller, full-color screens and more KOMPLETE sounds! Overall: Its a Nice Controller. It can do almost everything the studio can do with a smaller footprint. Ive always liked Maschine because of the ease of making an idea come together fast.. The MK3 works for me because i dont like the size of the studio i just liked the features. Anyone with a Maschine studio will probably use this and decide to make this their go to device. 17 of 17 people (100%) found this review helpful. Did you? Overall: The MK3 is by far the best hardware controller for track making and song creation on the market. The new updates to the actual hardware makes a huge difference in how the workflow happens with it. There is absolutely no need for a maschine studio at this point. Great job NI! Overall: Coming from the traditional MPC world and being a new maschine user I can't tell you how glad I am to have waited for the MK3. The seamless workflow of the dedicated buttons makes the unit much like the MPC60 and 3000. The screens however is what makes this unit the only maschine to purchase. Once you've experienced this one, you will quickly find that no other maschine is worth the time. I havent even mentioned the fact that it also has its own audio i/o routing capabilities as well. Great Job NI!! Overall: An incredible music production tool! Been learning ins-and-outs of what this thing can do and though I feel I have only just scraped the tip on the iceberg, it's already more expansive than I could have imagined. I have not used the previous generations so I can't compare but this one is very well thought out as far as the design and ease of use. It makes it very pleasant to interact with it and spend hours and hours building and rebuilding arrangements. Also, I love all the NI sounds!! Overall: I hardly ever experience a creative block with this. No matter what your style or that one part of your arrangement that’s killing you or anything-the mk3 has the fix built in. That makes no mention of the added software. Sure-it takes a day to install. Go outside. It may be the last time if you’re an audiophile like me making beats till the morning. Overall: This production instrument right here is hands down one of the best tools to make music with period point blank! Tons of sounds and so many functions and features that you can't go wrong. So easy to learn you'll be making good quality music in a day! 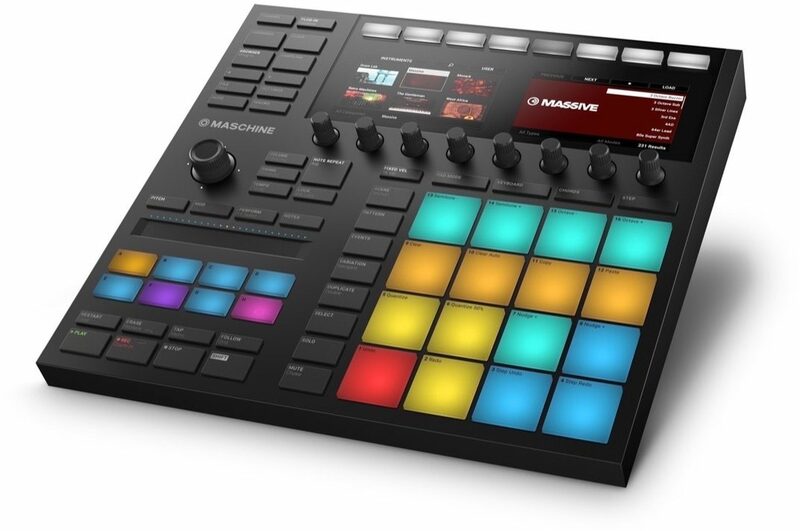 Overall: this controller is amazing I have not tried any of the MPC controllers so I cannot compare but I have tried this one and it has changed my look on music completely. its integration with complete and its ease of use as well as a big colorful screen are the best. Overall: Where to start I recently bought the mk3 and s61 on my list of reccomend or trash I would trash based off customer support is nonexistent I have been on hold a total of 3 hours in the last 2 days. Emails, instagram messages, and twitter messages to try to get in touch with anyone also went unanswered now I'm sitting here with 1500 dollars worth of instruments that are useless until I can get one type of help. Makes me wonder if MPC users go through this. 5 of 14 people (35.71%) found this review helpful. Did you?